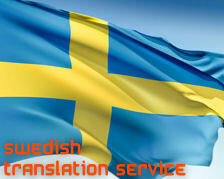 Translation is the necessity for today’s world and we are providing the Swedish translation in its best possible way. We employ only the very best Uzbek translators the world has to offer. They are meticulously screened during our rigorous selection process so that only specialists having the best qualification, industry experience and subject expertise handle your translations. We only work with dependable and experienced translators who consistently display superior performance and quality results. We ensure that the Swedish translators assigned to your project have the appropriate expertise required to provide you with a high quality, culturally sensitive translation in any field that you desire. Swedish Translation Fields: Document Translation ( IT Manual, Software Manual, Multilingual User Manual, Technical Script and Manual, Training Material, Medical Documents, Engineering Documents, Marketing & Advertising, Legal Documents, Literatures, Official Papers, Tourism, Sports), Website Translation, Software Localization, Multilingual Web Publications, Web Content management and translation, Print Publications. Swedish is a North Germanic language, spoken by more than ten million people, predominantly in Sweden and parts of Finland, especially along the coast and on the Åland islands. It is to a considerable extent mutually intelligible with Norwegian and to a lesser extent with Danish. Swedish is the national language of Sweden and the first language for the overwhelming majority of roughly eight million Swedish-born inhabitants and acquired by one million immigrants. As of 2007 around 5.5% of the population of Finland was Swedish speaking, though the percentage has declined steadily over the last 400 years. The Finland Swedish minority is concentrated in the coastal areas and archipelagos of southern and western Finland. In some of these areas, Swedish is the predominant language. In 19 municipalities, 16 of which are located in Åland, Swedish is the only official language. In several more, it is the majority language and it is an official minority language in even more. There is considerable migration between the Nordic countries, but owing to the similarity between the languages and cultures (with the exception of Finnish), expatriates generally assimilate quickly and do not stand out as a group. According to the 2000 United States Census, some 67,000 people over the age of five were reported as Swedish speakers, though without any information on actual language proficiency. Similarly, there are 16,915 reported Swedish speakers in Canada from the 2001 census. Outside Sweden and Finland, there are about 40,000 active learners enrolled in Swedish language courses. Standard Swedish, which is derived mainly from the dialects spoken in the capital region around Stockholm, is the language used by virtually all Swedes and most Swedish-speaking Finns. The Swedish term most often used for the standard language is rikssvenska ("National Swedish") and to a much lesser extent högsvenska ("High Swedish"); the latter term is limited to Swedish spoken in Finland and is seldom used in Sweden. Swedish to English Translation services - Low Cost Swedish Translation- Swedish Translators - Cost effective Swedish Translation Network - Kolkata Swedish Translation - Website Localization India - Kolkata Translators -Swedish Content Writing India -Swedish Language Professionals Kolkata.